I was lucky enough to hang out briefly with the American director Jill Soloway (we share some close friends in LA), and I’ve followed her career with much admiration. One of the things she does on set is have a daily emotional check-in with her crew. This may sound like a small thing, but its implications are enormous. Imagine a creative workplace where you can bring your whole self? Where it is explicitly encouraged that you share what is going on for you outside of the narrow confines of your workplace. As a TV parent that is an incredible thought. Throughout most of 2016/17 Alice McMahon-Major and I were working together on a big budget documentary reality series for Channel 4 called ‘Eden – Paradise Lost’. It was a very challenging project, and the channel initially wanted something from it that the thousands of hours of rushes just didn’t contain – an aspirational new model society. What there was, however, was a dystopian scene of misogyny, blood lust, male group-think, cliques, bullying and secrecy. As the Senior Producer at the edit end of the project, I’d been able to build my own team. I’d hired a lot of women and it felt very different to the male-dominated environment I was used to. That led us to begin fantasising about setting up a feminist production company (we joked it should be called ‘The Coven’)! We began to wonder what a company run by women might do differently. It might have a very different view of the boundaries between work and the rest of life, for example. It might have a very different view on whose talent is worth nurturing and supporting. It might actively encourage women to pick up cameras, rather than just complaining that they don’t. 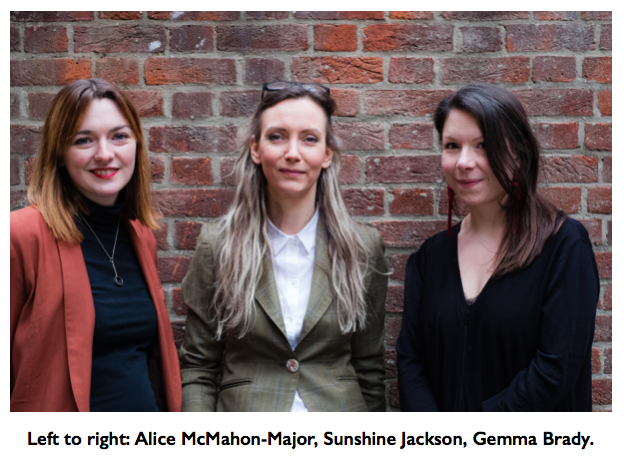 When we met the amazing Gemma Brady (through her wonderful project Sister Stories), everything fell into place and Amplify Pictures was born. As we began to look into the data, it was clear that documentary and factual has a massive issue with keeping women in the gong-winning roles in prestigious content. 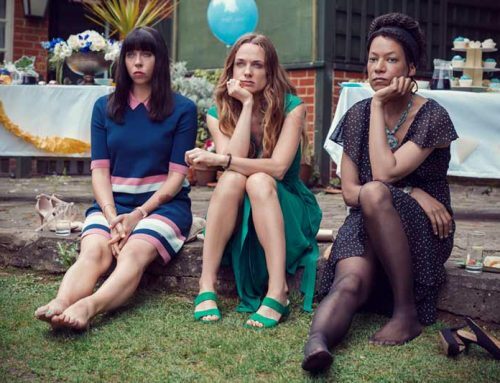 Yes we direct a lot of female-focussed weight loss shows, but a whole raft of factors have kept all but a few from the BAFTA-winning series director roles on ‘serious’ content. One of those factors is certainly the division of parenthood labour. By the time you are experienced and approaching senior roles, many people are either parents or it’s on their radar. I directed my first film while (secretly) pregnant with my first child. I never even considered going back to documentary directing with babies in tow. It felt out of the question. I recently saw some statistics on the earnings of mothers and fathers across society charted from before the birth of their first child. There is almost no dent in fathers’ earnings, but a huge dent in women’s earnings, that then lag well behind non-mothers and fathers for the rest of their careers. Unfortunately research shows that in heterosexual relationships women often absorb a lot of the unseen ‘emotional labour’, even if they share the hours of childcare equally with their partner. This ‘emotional labour’ is getting the perfect birthday present for your child’s best friend; the World Book Day costumes; attending the Nativity Play; baking for the spring fair; talking to schools about friendship problems; arranging the childcare and playdates. And the anguish I have seen mothers in TV experience when they drop one of these balls on a busy production is heartbreaking. Do it a few times and it’s enough to make anyone reconsider their career choices. 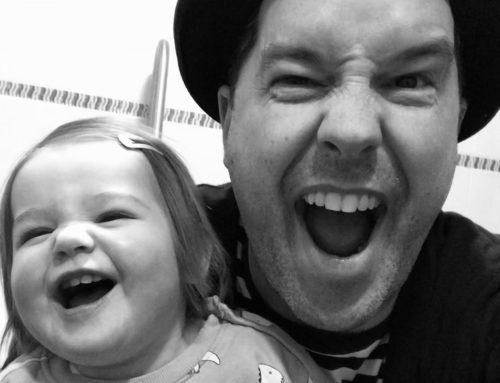 UK freelance TV work is – for the most part – so cut-throat that you end up almost hiding the fact you even have kids, so that no one questions your commitment. And – surprise, surprise – all the BAFTA-winning series director roles are freelance. I was talking the other night to one of the most talented female self-shooting directors currently working in the UK, and she wants to become a mother but sincerely feels it’s career suicide. She feels it’s 100% an either/or. This is a DISASTER! Freelance TV is lagging behind almost every other sector in terms of supportive human resource strategies precisely because all the best editorial roles are freelance and unsupported/un-mentored. If someone talented didn’t quite deliver on a project, rather than interrogate the circumstances, they just don’t get hired again, so the pressure to deliver every day without exception is immense. And we at Amplify think that lack of strategy lands more on women’s shoulders because to really feel able to nail it working at the highest creative level as a TV parent – or TV carer for elderly parents, or just a TV functioning human – you need an awesome support system (which in generations gone by was often called a ‘wife’). Neither of my co-founders are parents, though perhaps one day they would like to be. As a team we all came to the same point about work life balance in our separate ways, but a solid understanding that production companies can be doing this better, and that would benefit women, brought us together. Imagine if a freelance director didn’t feel they had to project a bullet-proof work image, and were instead encouraged to bring doubt to a creative discussion, or look for co-operative rather than competitive ways to interrogate the vision for a film? I don’t necessarily think these are ‘female’ ways of doing creative business, but they sure as sh*t don’t emerge naturally from the current climate in TV production companies. This kind of ethos change has to happen from the top, which means we need more female-founded companies who are consciously doing things differently. The hundreds of spontaneous messages of support and excitement we’ve had from TV freelancers have been the strongest signal that what we’re doing is the right thing. What’s even more exciting is that this doesn’t seem to be putting off potential investors. As we approach the channels with ideas we’re developing through our network of hundreds of women freelancers (and no – we’re not only developing ‘women’s content’ ideas), we’re certain that being the most supportive company to work for, creatively and holistically, means we’ll always attract the greatest talent out there, and everything else flows from that.